First, there was Mad Cow Disease, then there were reports of “zombie deer disease.” Now, “zombie-like” raccoons are plaguing Ohio. According to ABC affiliate WYTV, police in Youngstown, Ohio have responded to more than 12 reports of raccoons acting strangely over the past three weeks. Most of the calls happened during daylight hours, which is unusual because raccoons are nocturnal. One man, Robert Coggeshall, told CBS affiliate WKBN that a raccoon had followed him and his dogs to the door of their home. From inside, Coggeshall said he observed “extremely strange behavior” from the animal. "He would stand up on his hind legs, which I’ve never seen a raccoon do before, and he would show his teeth and then he would fall over backward and go into almost a comatose condition," Coggeshall explained to the news station. Since then, all of the zombie-like raccoons have been euthanized. And as for what caused the animals’ bizarre behavior, the Department of Natural Resources (DNR) told local police that it was likely distemper. This viral disease causes coughing, tremors, seizures, and reduced fear of people. 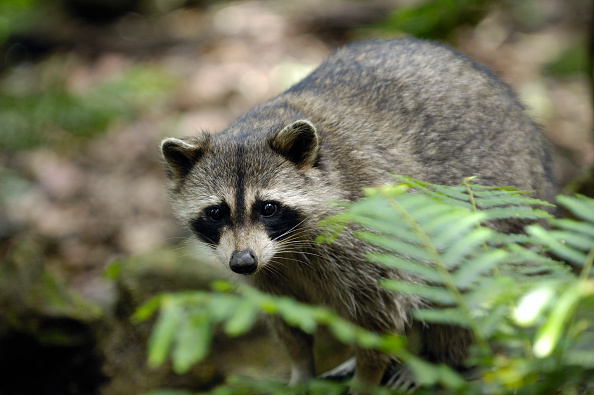 The DNR cautions that raccoons with distemper can transmit the disease to pets, so if you see a raccoon displaying these symptoms, stay away and call your local DNR branch. The American Veterinary Medical Association warns that distemper is airborne and can also spread through shared food and water. The virus is often fatal, but there is a vaccine for puppies to prevent the illness, so make sure your pet is up to date on their shots. While these reports of zombie-like raccoons are seriously spooky, we’re relieved that we don’t have to quickly strategize a way to survive a zombie apocalypse. Just make sure your pets are vaccinated, and if you see a raccoon acting weird, report it to your local DNR. And above all else, remember to stay calm.